It is officially the weekend. 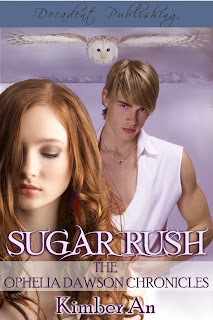 Reader Girls has a special Guest Post to share with everyone today. 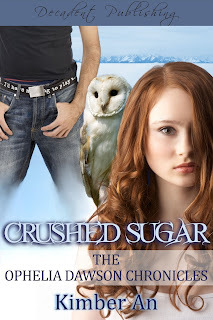 Kimber An, author of a YA paranormal series set in Alaska, Crushed Sugar (Ophelia Dawson Chronicles) and Sugar Rush (Ophelia Dawson Chronicles #1), has graciously let one of her main characters, Bianca, fill in for her guest post. Bianca has interviewed her sister Ophelia and Ophelia's friend, Adrian. 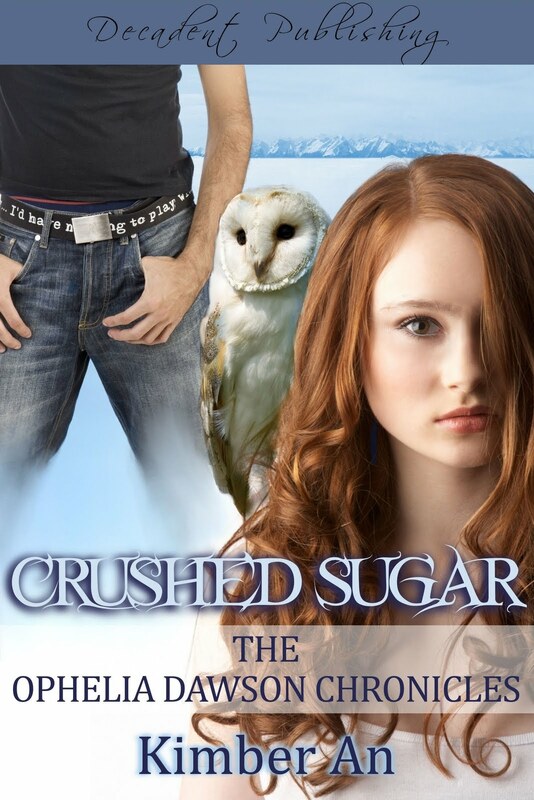 Ophelia longs to be free, free of diabetes, free of her ex-boyfriend, free to live.Something transformed Martin and made her his drug. If he has his way, she’ll never achieve the freedom to learn his true nature and origin. Oh, yeah, he did. Seriously. We welcome Kimber An and Ophelia. Bianca’s side of the bedroom is identical to her twin sister’s, except that it looks like a bomb hit it. A strip of silvery duct tape runs down the middle. On her side, dirty laundry is strewn over the white wrought iron bed, chair, heaped on the floor. A sewing machine sits on the desk underneath a pile of fabric and patterns. The dressmaker’s dummy wears a garlic necklace. “I’m doing calculus.” Ophelia sits at her sleek new computer to her otherwise identical desk. Like her sister, she has long, dark red hair. “All right, all right, c’mon.” In one deft maneuver, Adrian pivots her off the chair and to sit with him on the bed. He shuts down the calculus homework and computer while she rips open the new game. Ophelia is still examining the Solar Bomber game inserts and takes no notice of her high-strung sister. Adrian digs into his pocket and comes up with a ball of fake fur. He dances it across the game’s case. “A tribble!” Ophelia grabs it. Kimber An never had enough books when she was a kid and the ones she had didn't turn out the way she wanted. And so she started writing her own. She also loved babies a lot, but didn't know how to talk to boys. Instead, she became a nanny and took care of other people's babies. Finally, she moved to Alaska where she met a boy who understood getting whacked in the head with a wadded up piece of paper meant true love. She married him and now she reads books to her own babies, and is living happily ever after. Thanks to Bianca and Kimber An. Oh wow this sounds good! What a great twist on the concept. I love it! Adding it to my list! Thanks so much for having me as a guest on your blog! It took me this long to figure out how to leave a comment. Sad, huh? Better late than never, though.